Michael Homula was born in Cleveland but grew up in Kent, Ohio (a proud Kent Roosevelt Rough Rider and classmate of Team ER’s Scott Orlando) where he played Football and Baseball, earning second team All-Ohio in football. He went on to play football at West Point and Kent State University. He lives in Canal Fulton, Ohio with his wife Erin and has 6 kids. No, that is not a typo. Michael is the Founder and Managing Partner of RPM Search Group. 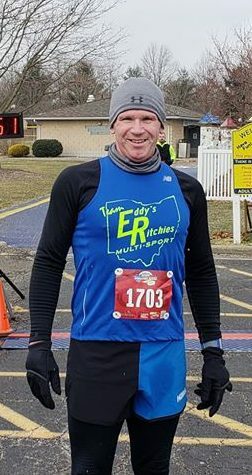 He never fashioned himself much of a “runner”, only starting a consistent running regiment in his mid-40’s to lose weight and get back in shape. In fact, he resisted calling himself a runner until he realized he was logging 30 or more miles a week, entering 15 or more races a year, and running outside in sub 10 degree weather. 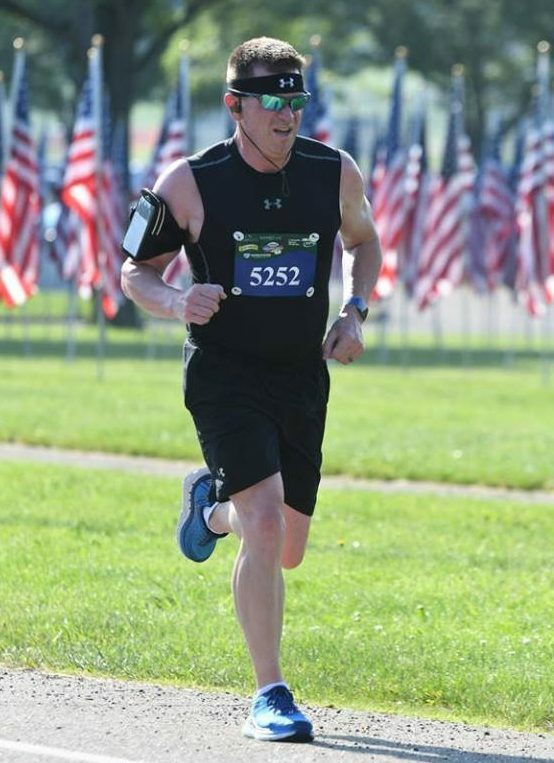 Michael mostly focuses on 5k and 10k races with an occasional half-marathon mixed in for fun. 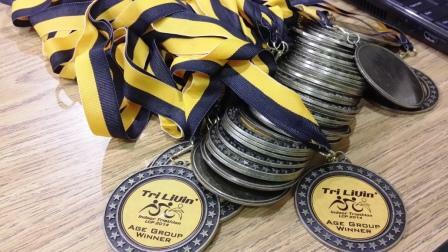 While he has yet to compete in any dual sport events, he is interested in training for duathlons and triathlons soon.